San Diego’s beer scene has simply exploded over the past five years. That growth has meant expansion of all kinds. It has meant more breweries, but it also means that little guys have gotten medium-sized and the medium-sized have gotten big. San Diego now boasts about a dozen breweries that are producing in the tens of thousands of barrels per year. Some, such as Stone Brewing Co., Karl Strauss Brewery, Green Flash Brewing Co and Ballast Point are on the country’s Top 50 Largest Craft Breweries list (Stone is currently #10). The big breweries in town make great beer – that’s a major reason why they’re the big breweries! – but the vast majority of brewers in San Diego are relatively small. Most are brewing on 7-barrel or 10-barrel systems that can’t output more than a few thousand barrels per year at absolute maximum. The nice thing about San Diego’s small craft brewers is that, in general, their systems still require them to craft every batch by hand – dumping in bags of grain one by one, measuring out hops, and pitching their yeast at just the right time. The handcrafted beverages they produce reflect the personal passion and attention that made these folks want to be brewers in the first place. While it’s certainly convenient to pick up a San Diego six-pack at a grocery store or bottle shop, most of the packaged beer available in those outlets is from medium to larger breweries. If you really want to “support local” and “drink local” it’s also important to visit the little guys. You’ll be glad you did. And I know they’ll be glad you did! 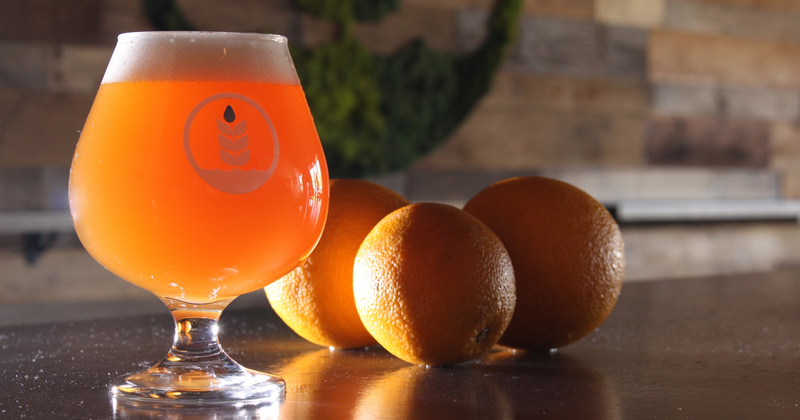 Here’s a list of six new outstanding small breweries that have opened recently. They all show great promise, they all make great beer, and – who knows – someday soon you may be seeing them on the list of the Top 50 Largest Craft Breweries in America. This is actually the second location for this brewery – the first was on Mission Avenue in Pacific Beach – but this is the first space they’ve had where they can house a decent-sized brewing system. This is good, because Amplified’s brewer Cy Henley is a talented guy who can now let his brewing colors fly. The new tasting room (with brewery in back) is designed with fun touches that echo the rock ‘n roll theme of the brewery. A video loop of a live rock show plays on the wall, concert graphics and posters adorn the other walls, and tasting flights are served in nifty guitar-shaped boards. 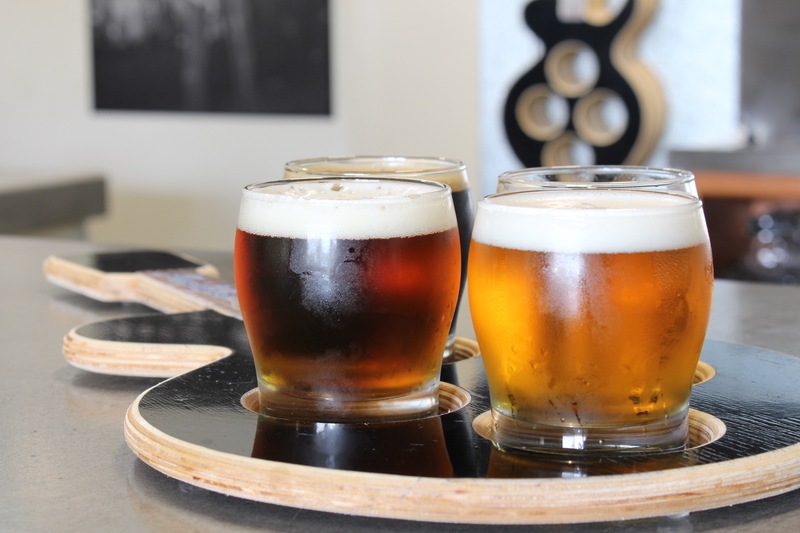 The brewery offers a nice range and variety of beers, including their award-winning brews, Sell Out Lager (winner at the 2016 San Diego International Beer Festival) and Whammy Bar Wheat (winner at the 2016 World Beer Cup). When you visit, don’t miss a chance to taste Electrocution IPA (their most popular) and Electro-Lite, which is a deeply satisfying session IPA that clocks it at a mere 3.9% ABV. When you visit Amplified, you won’t have to go far to get to Pure Project; they are literally right next door. 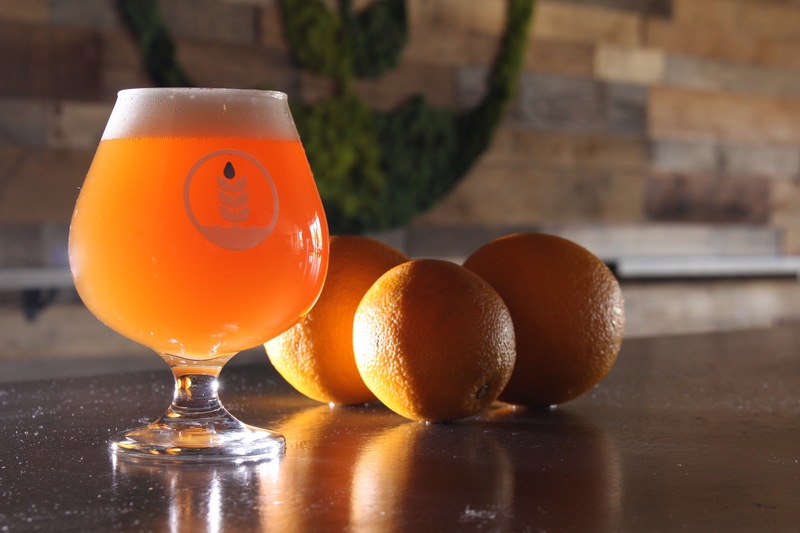 This is fortunate for the beer tourist, as you can enjoy two of San Diego’s best new breweries by making only one stop. The tasting room is nicely designed with wood and floral features that are inspired both by nature and by Costa Rica, where the founders lived before returning to San Diego to start their brewery. Brewer Winslow Sawyer cut his teeth brewing in Northern California, so he brings a somewhat different approach to the mix. He came to San Diego with a No-Cal palate and an affinity for more offbeat styles like gose and Kentucky common. All of Pure Project’s beers are very good, but their fruit-centric cream ales and wheat beers tend to be the hands-down crowd pleasers. Only minutes from Amplified and Pure, you’ll find Division 23 tucked away in yet another nondescript office park. You have to be persistent and follow the signs all the way to the back of this complex, but the hunt pays off with a casual and comfortable bar-style tasting room complete with shuffleboard, ping-pong, and comfy couches. 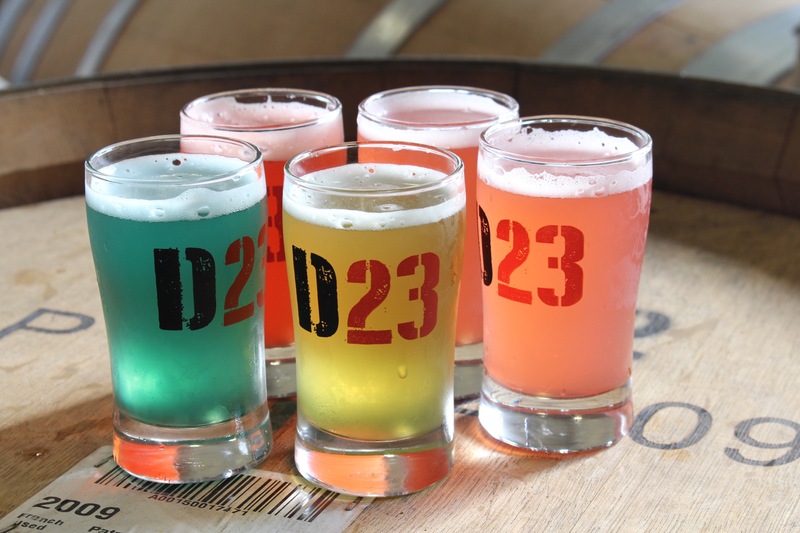 Division 23 offers a nice selection of well-made beers, including a few stouts and IPAs, but the most interesting option is the Berliner Weiss. Tasty and refreshing on its own, it’s even more fun sampled with a variety of flavored syrups, which are offered at the bar. The standout mix was the Thai-spiced Berliner Weiss with a splash of coconut syrup. Truly a super-delish treat. Here’s a downtown destination where you can actually do a little bit of everything. 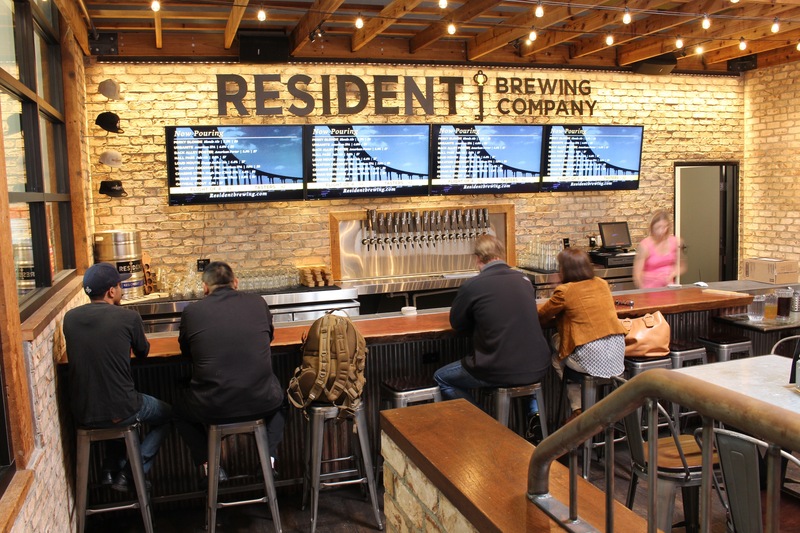 You can sample the tasty beers from Resident, you can find great craft beers from other producers, and you can enjoy a full menu if you’re hungry. The Local, on 4th Avenue just across from the Grant Hotel, used to be one of downtown’s best craft beer bars, and – now that Resident Brewing opened up in the (expanded) space and starting brewing right there on the premises – it’s even better. The large space offers plenty of seating, tables for big groups, and a full menu of pub-centric food. The front section, as you enter, takes you into the Local, which remains one of the city’s best spots for craft suds. Moving toward the back, you’ll find the tasting room area for Resident Brewing. Brewer Robert Masterson does a nice job with a range of food-friendly and crowd-pleasing styles. The Perky Blonde was notable for its excellent mouthfeel, its bready-biscuity flavors, and its crisp, clean finish. Other standouts include the Vacation Coconut IPA, (which has just the right amount of flavoring without overwhelming the beer) and the Back Alley Porter, which had alluring aromas of coffee, vanilla, and bittersweet chocolate. Nestled in the shadow of Sports Arena, this light and spacious tasting room provides plenty of space to gather with friends. A few large tables, a nice big bar, and some four-tops provide plenty of options. 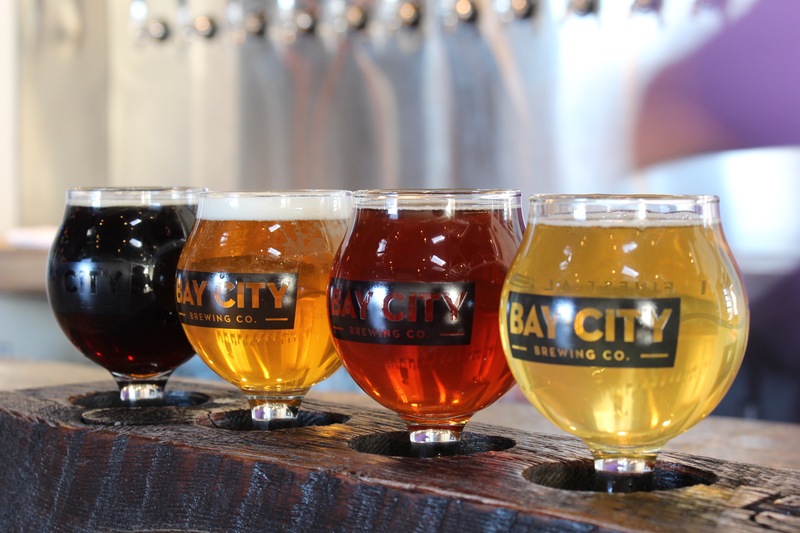 The size of the space, as well as their impressive tanks and equipment, may make Bay City the largest brewery on this list of little guys. But, they’re still brewing on a relatively tiny scale. Brewer Chris West learned his trade on a variety of small systems that provided ample opportunities to be creative and different. His modest lineup here is no exception. There are a few straightforward selections (including a very creamy and flavorful Vienna lager), but the more offbeat brews provide the real interest. If the Brown Sour or the Coffee Pale Ale are on tap when you visit, be sure to get some tastes. 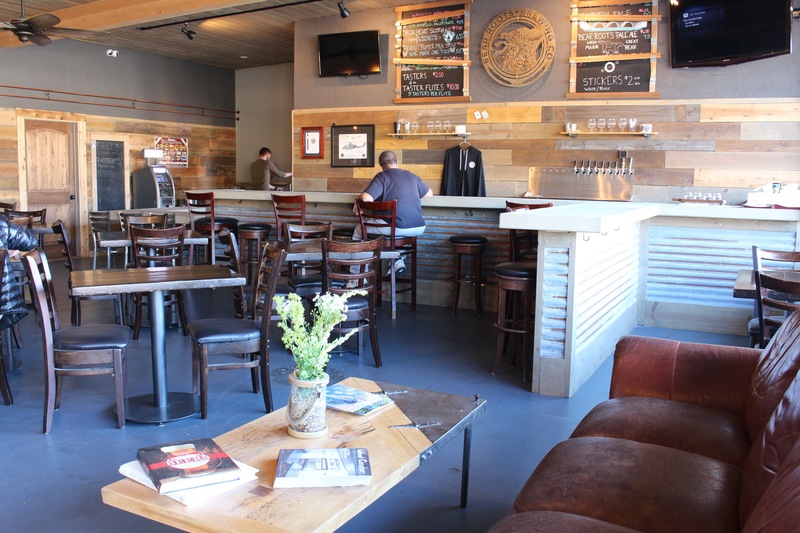 This cozy, rustic tasting room was a homebrew supply shop before it was redesigned. Now, homebrewing supplies share space with a comfortable sofa, some tables, and a welcoming, spacious bar. Owner and brewer Terry Little, an experienced home brewer, has put together a simple, straightforward collection of well-made, full-flavored beers, including a very tasty Nelson IPA, a chocolate-caramel-vanilla laden Scotch Ale, and a deliciously decadent Peanut Butter Milk Stout.